The very first release of whiskey from Dingle Distillery and the first genuinely new Irish whiskey for 25 years. This is a triple-distilled single malt that has been matured for 3 years in a single ex-bourbon barrel. A historic bottling of great whiskey that is sure to become very collectable. 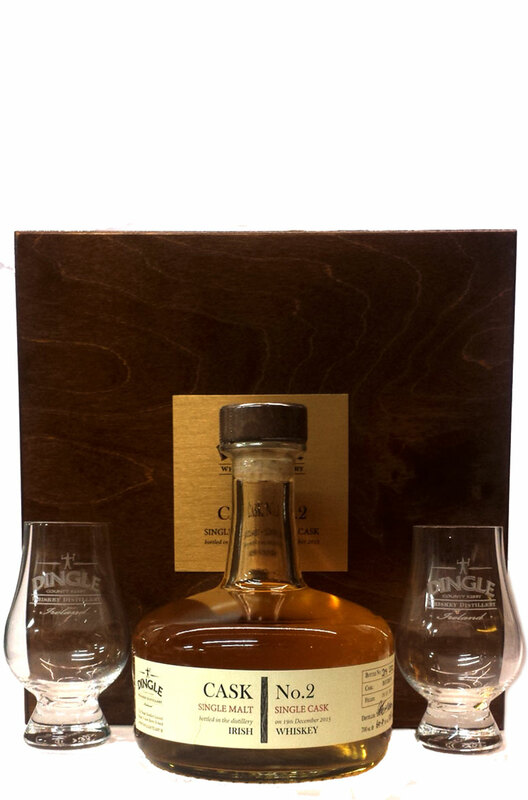 This comes packaged in a wooden presentation box with two Dingle Distillery Glencairn glasses. Types of Barrel used for Aging A single ex-bourbon barrel.